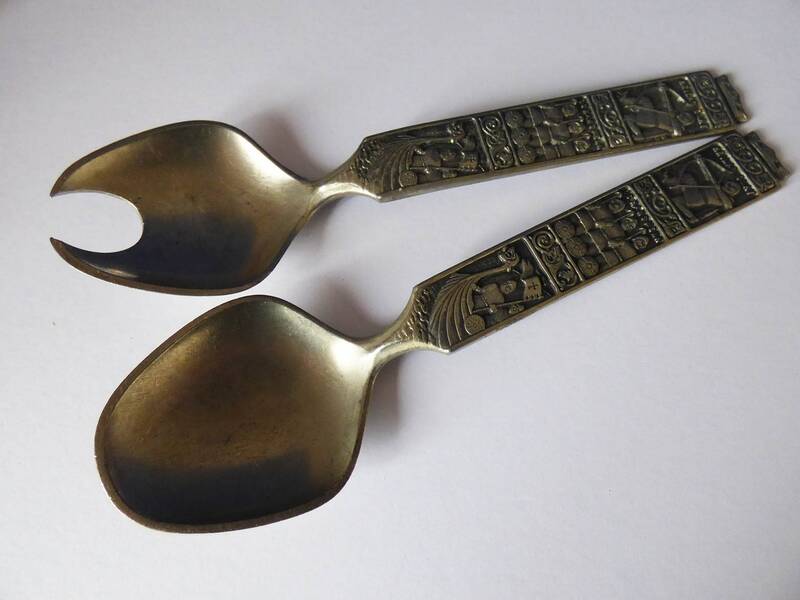 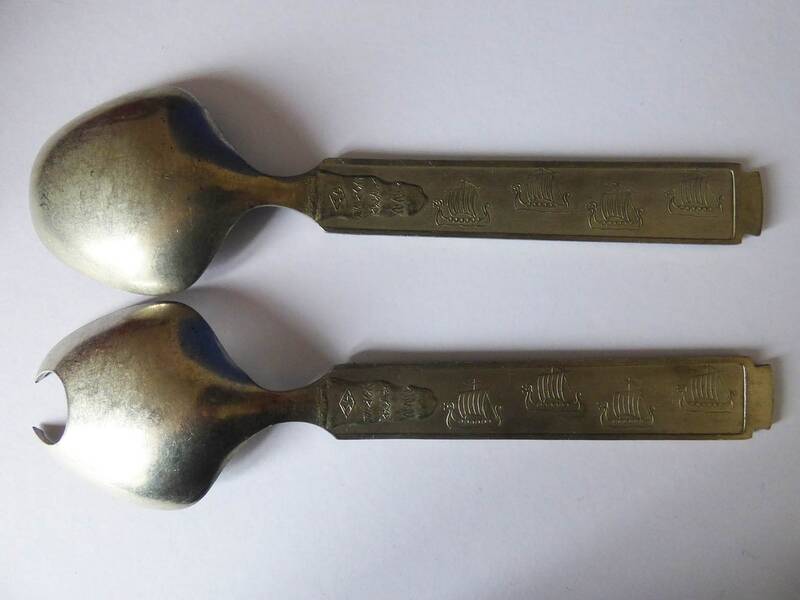 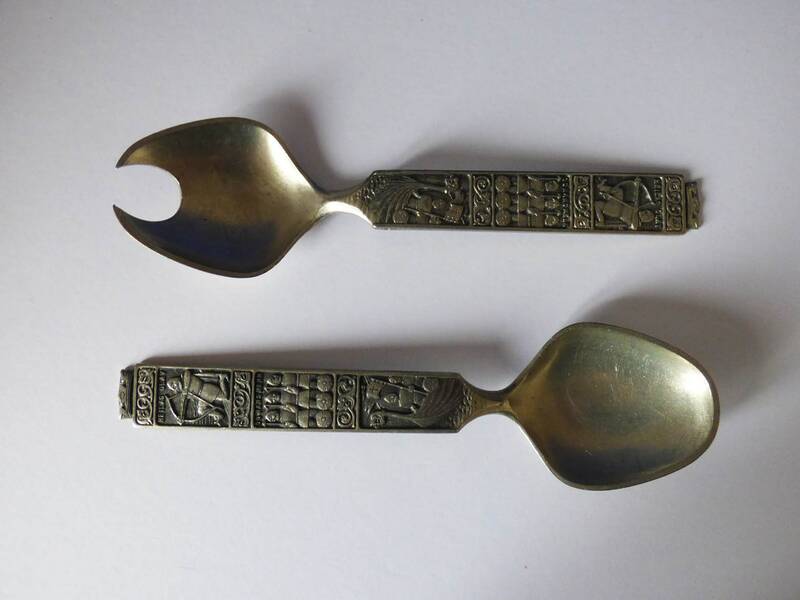 Beautiful Tinn of Norway, salad servers. 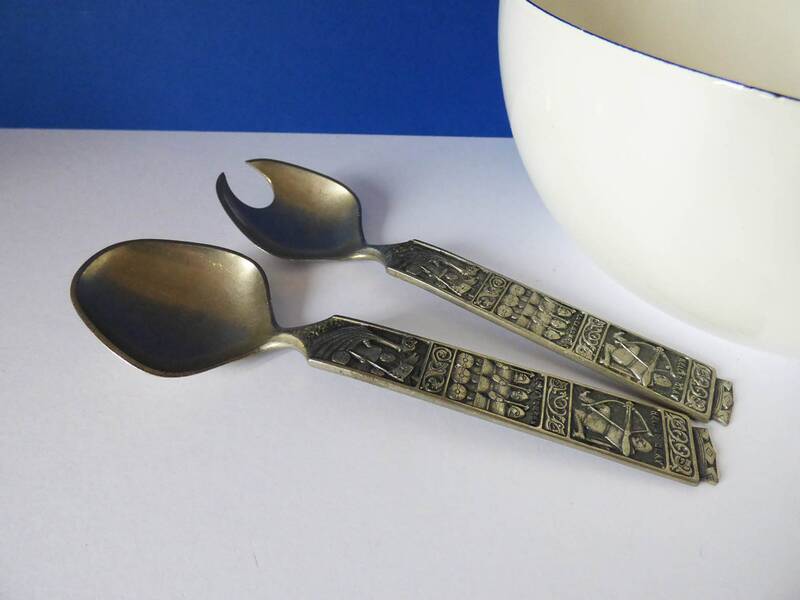 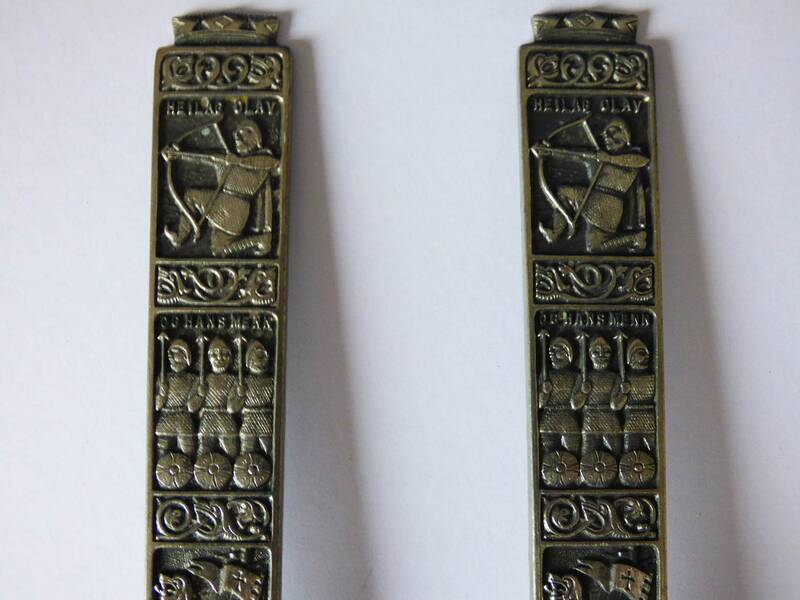 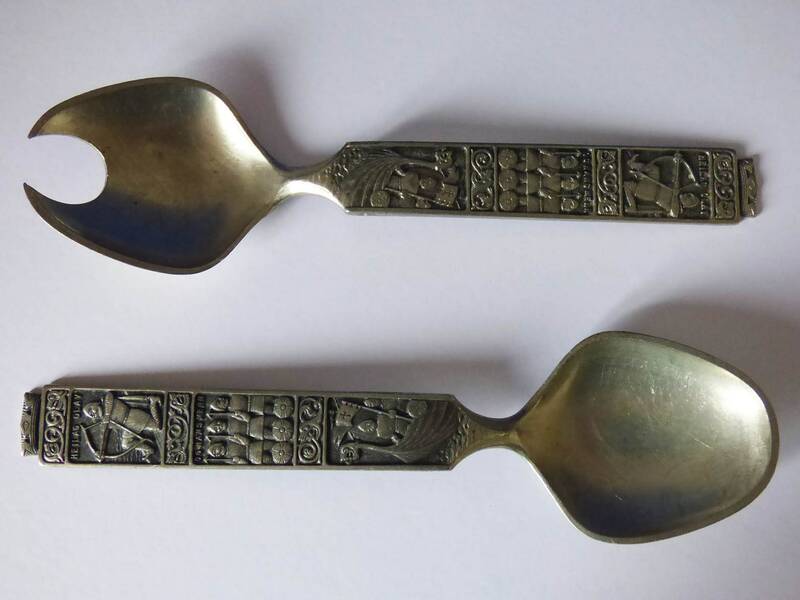 These 1960's chunky Pewter servers feature scenes of Norwegian Vikings, Olav the Holy and his men. 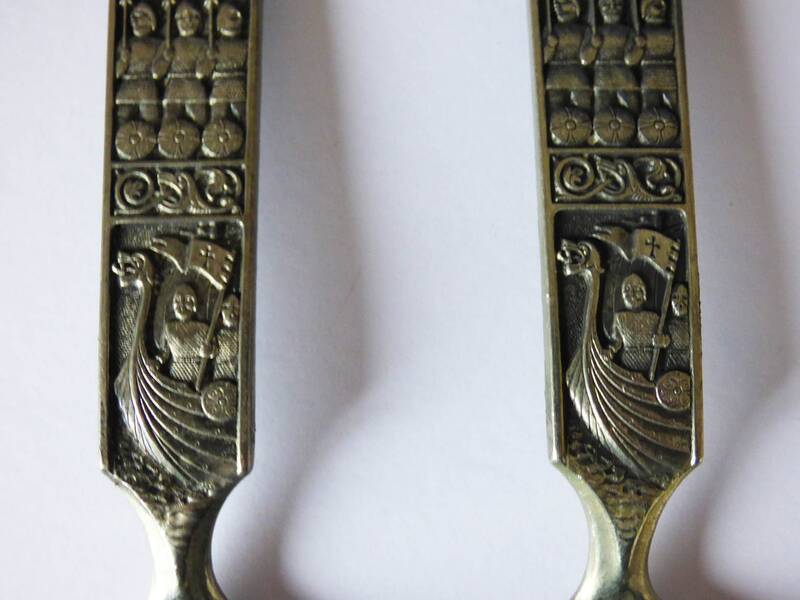 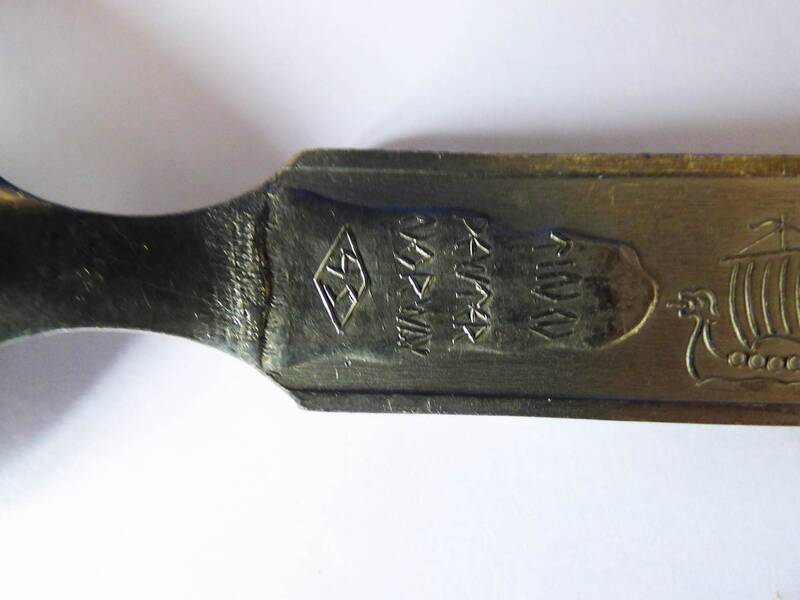 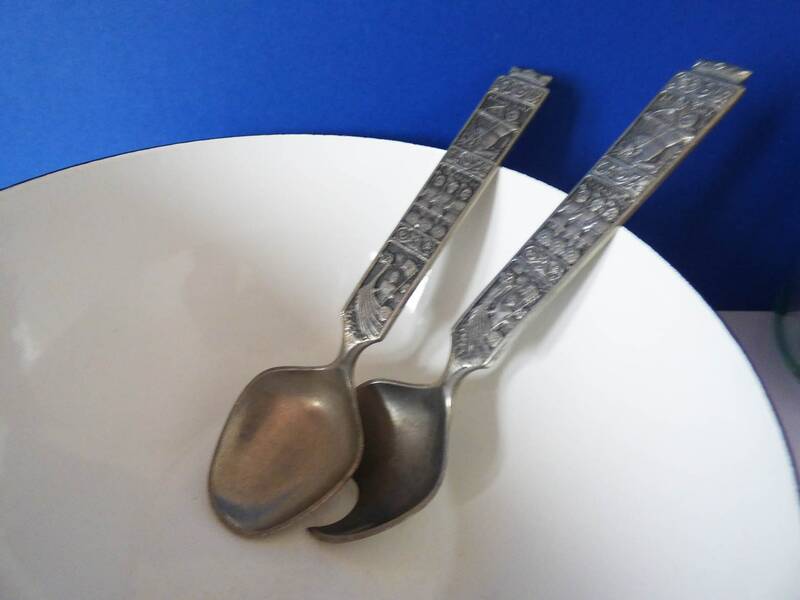 and the underside, Viking boats and the words "Tinn Pewter Norway HS" The salad servers are in used condition, and do show signs of use and age, being pewter which is a relatively soft metal, the spoon ends do have some surface scratches, see the photos for details.